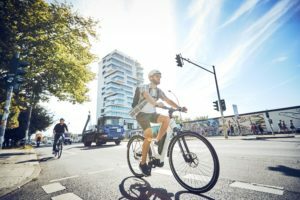 HANOVER, Germany – Continental is profiling itself as development partner for OEM bicycle manufacturers by offering flexible and customized e-bike drive systems according to clients’ requirements. 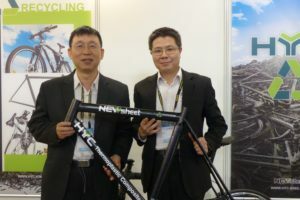 The result of such OEM cooperation has been presented at last week’s Taipei Cycle Show with bike maker eFlow. 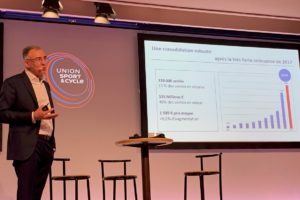 The eFlow model will be launched in 2015 and will be distributed through bicycle dealers in the German, Swiss and Austrian market. eFlow Europe is looking for distributors in other countries. 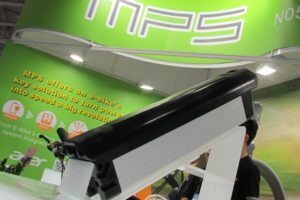 The integration of the eFlow seat tube battery into the Continental e-bike system is based on a close partnership and combines innovative technologies of both sides. 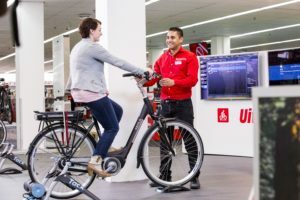 Customized system solutions for OEM bicycle manufacturers include the individual hardware integration into the e-bike concept, the adaptation of the software for an optimized communication in-between all components as well as several design customization options. eFlow Europe GmbH is a subsidiary of Taiwan’s Fairly Bike. 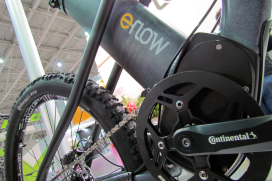 The eFlow e-bikes have been designed by Norbert Haller and will make their entry in the EU markets this year with a range of three models.